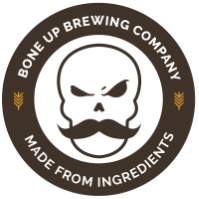 Stats: Weekly Cask - Bone Up Brewing Co.
Cask ale is a traditional British style of serving beer; beer is drawn out of the keg by hand and served at a slightly different carbonation level and temperature than normal draft beer to bring out new flavors and aromas. Every Thursday we tap a fresh, cask-conditioned pin! Check out our social media for what's new this week.